If you’re planning a group costume, take a look at these prize-winning group Halloween costumes. They all won prizes in real contests and they’re sure to give you a few ideas and inspiration as you plan your won group costume. 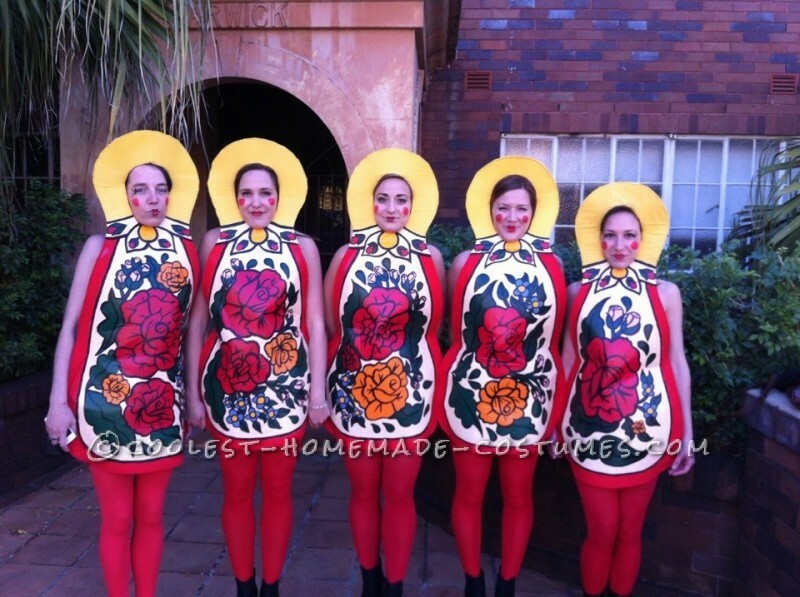 This group costume is proof that you can get inspiration for a costume almost everywhere you look. This idea dawned upon Sarah from Sydney, Australia as she was driving past a billboard and on it was a Matryoshka doll. Lots of Ben Nye liquid paint was used to cover the members of this cool Smurf Group Halloween costume made by Kevin from Wyoming, MI. 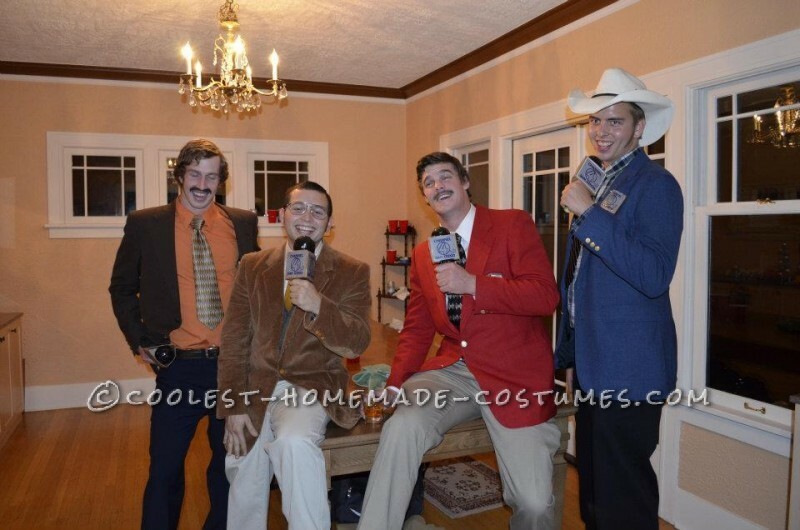 This Anchorman costume makes it really easy to start a conversation – you’re holding a microphone! 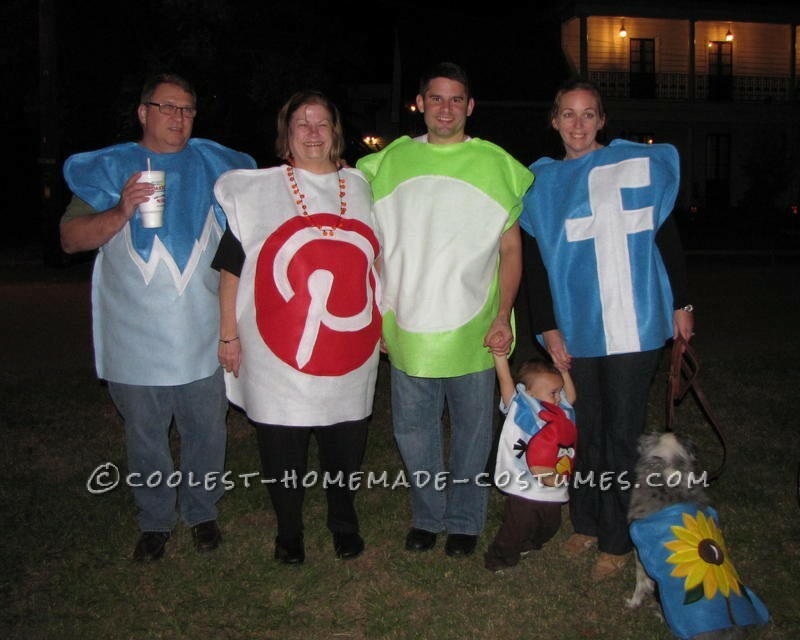 Brigette from New Orleans, LA came up with the idea to dress up her family as iPhone Apps because there are days when she spends more time on her iPhone than she does talking to her family. I am sure a lot of you can relate. 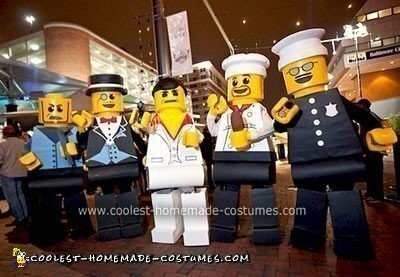 This Lego Minifigures Group Costume won our $500 grand prize in our 2009 Coolest Costume Contest. TJ Hahn from Gettysburg, PA created a step-by-step writeup that is very impressive and helpful. Amy from Sioux Falls, SD and her friends get together every year and brainstorm ideas for costumes! 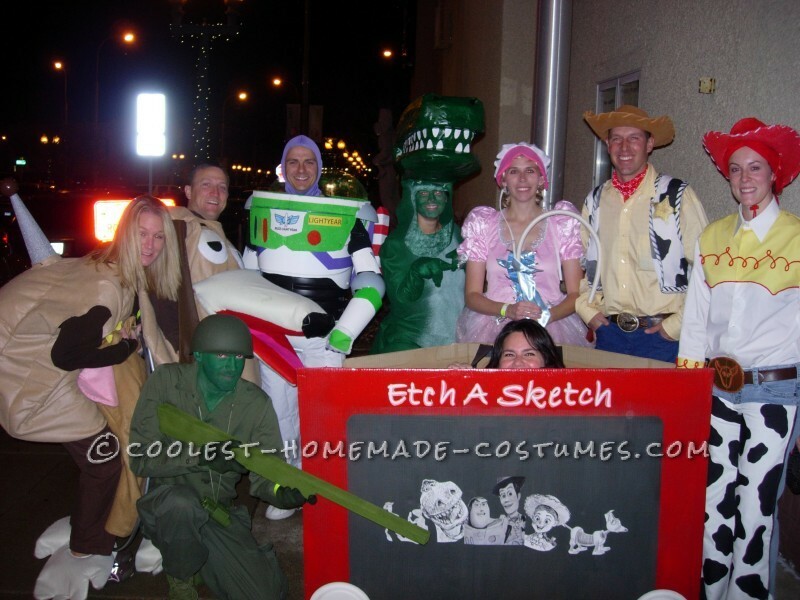 This year they went as the Toy Story Group. 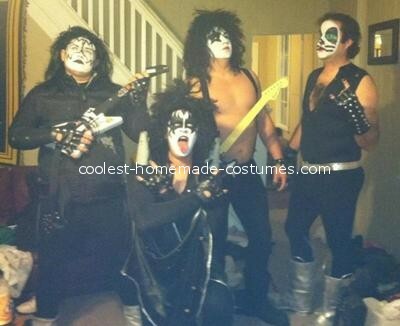 Chris from Scranton, PA and his pals decided to dress up as the legendary KISS group. They won first prize at their local bar contest. It took Riva from Lexingron, KY about a week to hand-paint and create her family’s Halloween costumes (and it cost less than $40 all together!). 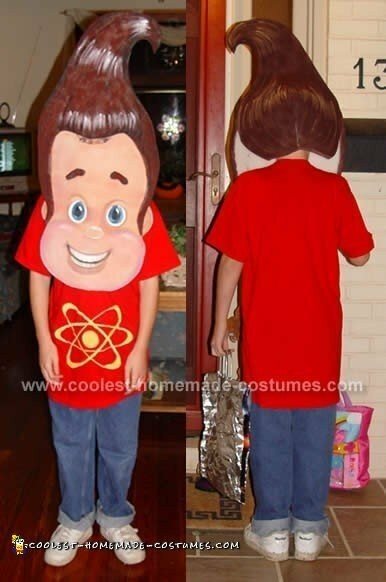 The Neutrons won the Grand Prize in our 2006 Coolest Costume Contest. 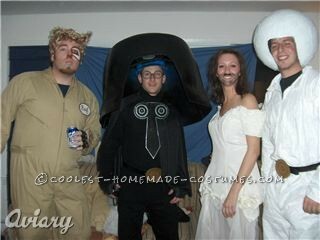 Anthony from Rochester, NY and his friends put together this impressive Spaceballs group costume, consisting of Lord Helmet, Princess Vespa, a Space Ball and Barf. This goofy gang won first place at a local bar’s costume contest.